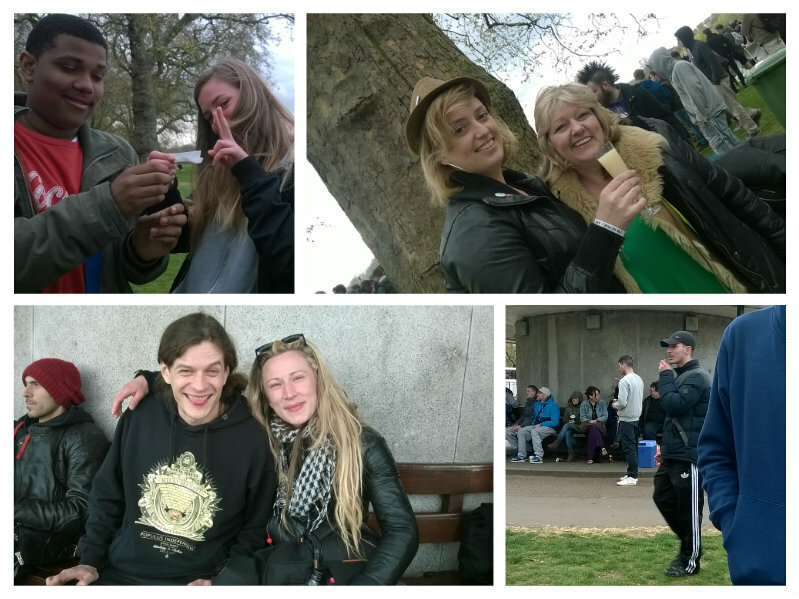 The Cannabis collective were certainly classing up the joint in the beautiful Hyde Park this weekend. A party took place on Saturday evening in London to embrace the gathering that was to follow. 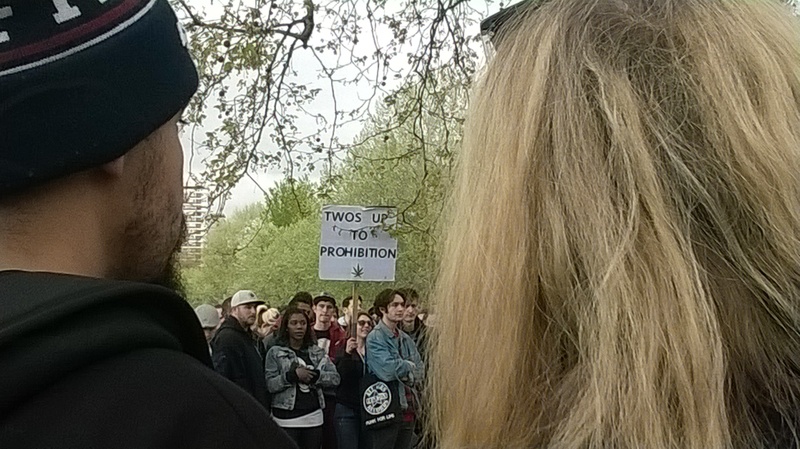 The next day, Sunday from 12pm, “we shall not be moved” was sure to be in the thoughts of many of the people at the London 420 picnic in the beautiful Hyde Park. With further demonstrations to take place, Monday 20th April was indeed set to cause some movement in today’s protest at Parliament before election day this year. 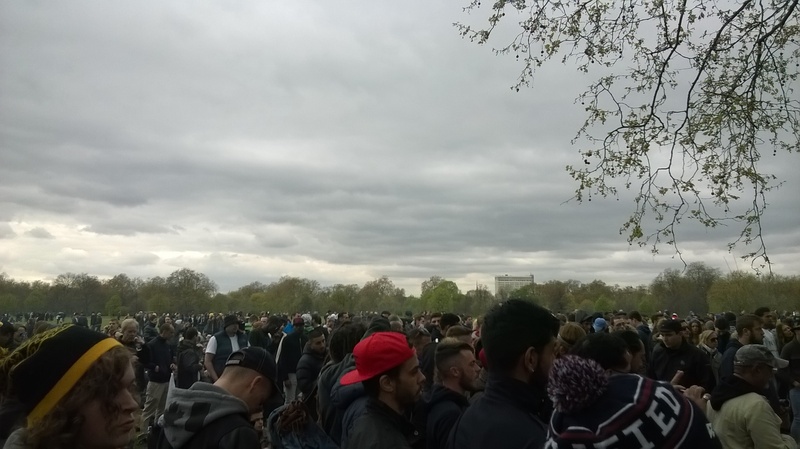 Many of the crowd did sit and stand strong on Sunday, loyal and true as police tried to move supporters out of Hyde Park. 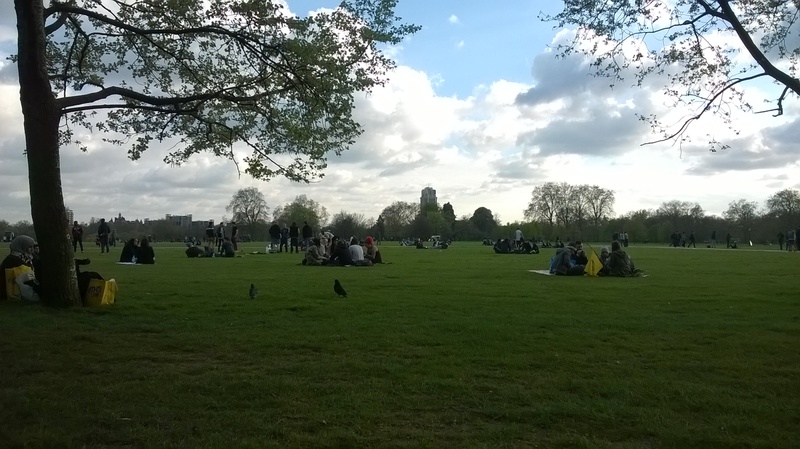 During the peaceful picnic yesterday that took place at Speaker’s Corner in London, the Sun’s rays beamed down on thousands of happy people, men, women and children as they set up and gathered in unity around the trees to end the war on drugs…and more specifically, the current crisis concerning Cannabis use. 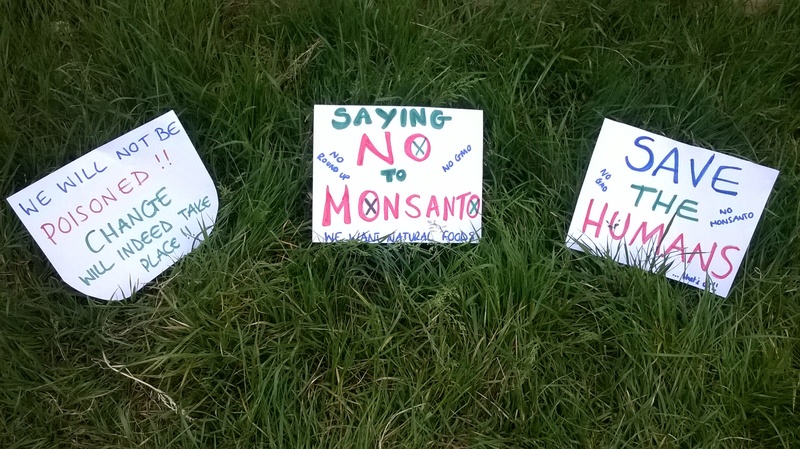 People from all over the world met up to have their say and to raise awareness for the rest of the people who are even just the littlest bit curious. 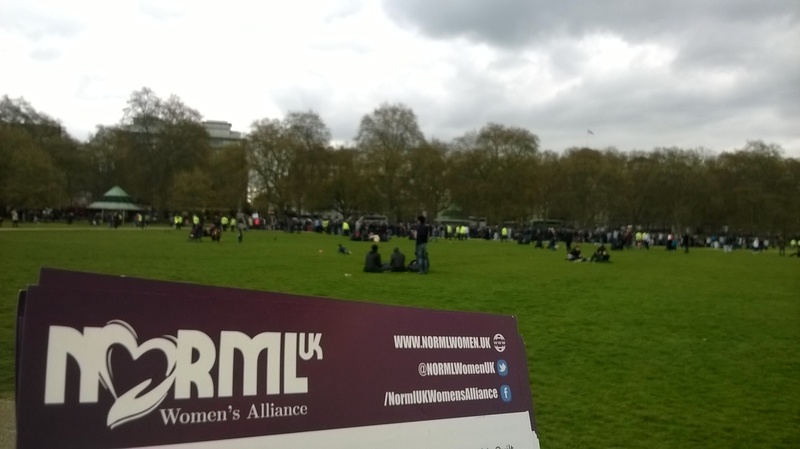 There were several activist organisations including NORML UK + NORML UK Women’s Alliance, United Patients Alliance, Feed The Birds, and London Cannabis Club, even the London Green Party had flyers on the table, this is just to name a few, that came together to make a huge stand for Cannabis freedom and to help educate the nation on the many health benefits of using Cannabis. The drug is healing people all over the World and time is indeed long over due for the United Kingdom catching up. 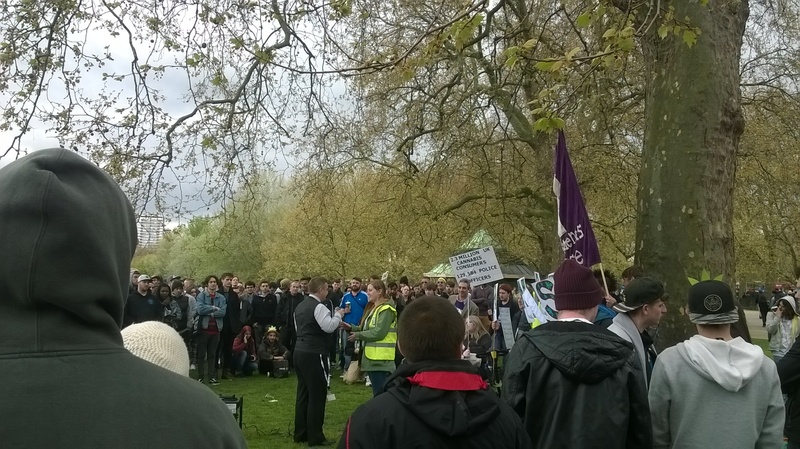 There were various speeches given about cannabis, the organisations and future events, they were informative, a pleasure to listen to, witty and down right speaking of the truth! 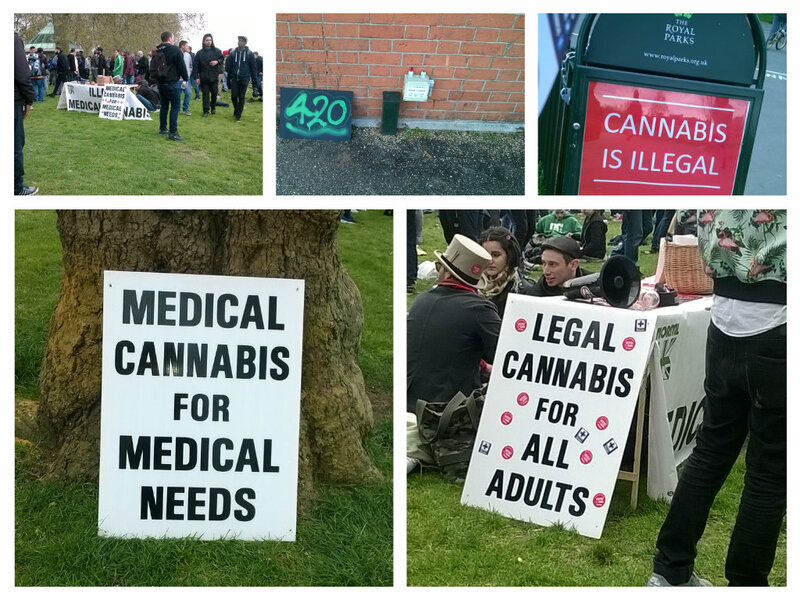 Seeds, stickers, bands, badges, flyers, t-shirts, keyrings and more were on offer to enhance the event and for everyone to gain a greater knowledge of exactly why such a fuss has to be made regarding the laws surrounding Cannabis use. People showed appreciation for the wonderful plant by firstly igniting a flame within today’s people by initially setting up such a needed event in the UK and sharing the Word. Others helped by hanging up banners, bringing signs with them, dressing up leaf style, even putting on shows later in the day, everyone had a role to act upon that was appreciated by others. This truly was a day of Cannabis freedom. Thank You to All who came. 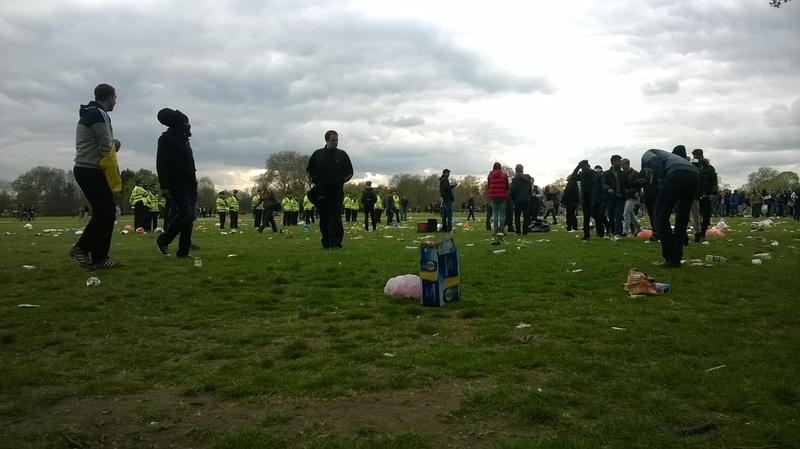 Sadly, there was a disgraceful amount of litter left by the crowd again this year, and as the police started to move people out it was apparent just how much. Straight to work went the eco-lovers to clear it all away within 15 minutes, that’s straight up earth love and respect and it shows that we really do care for the common good. 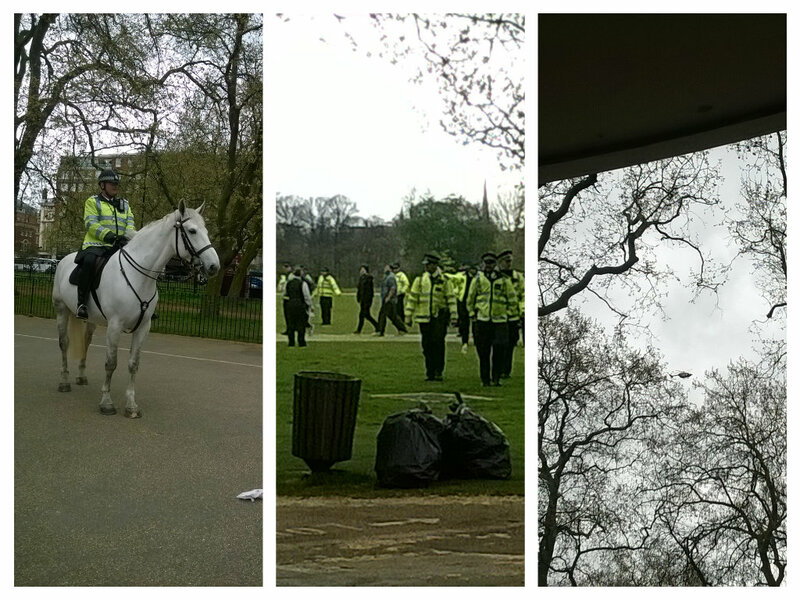 The police seemed to be rather interested in all the fuss and even brought along horses and a helicopter as well as the vans. They caused a little bit of a problem whilst man handling a few of the people but that sooned got sorted out appropriately. All in all the law enforcement team didn’t seem to be bothered much and happily watched on as nearly everyone around them lit up throughout the day. Another sign that Cannabis really ought not to be illegal. Can’t be that bad, right? Various people traveled quite some way to light up in London yesterday. Many people were over joyed by the fact they could simply ‘skin up’ in a park with no worries. The organisers did a fabulous job with the event and it was breathtaking to see the vast amount of support received. 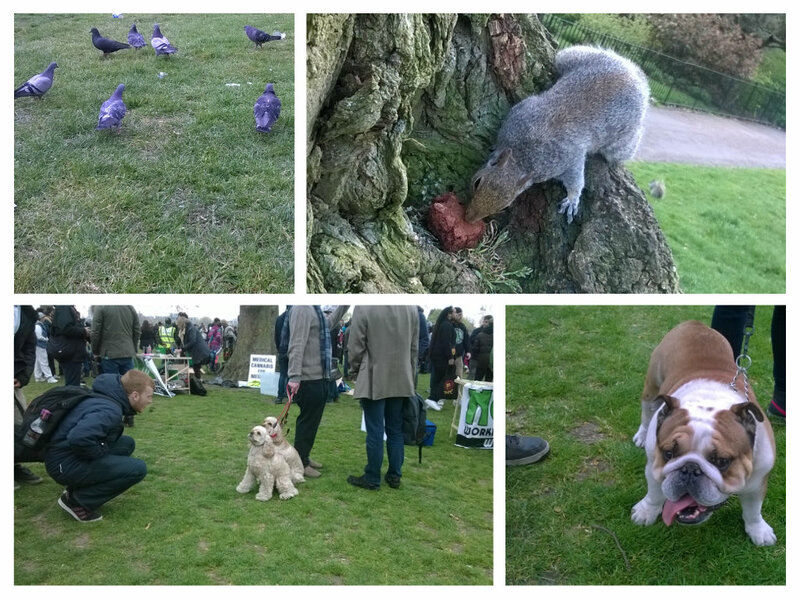 There were also dogs among the smoke, seeds and brownies for the birds and squirrels who had a fantastic day too! This just goes to show how harmful Cannabis isn’t, to all kinds of species. 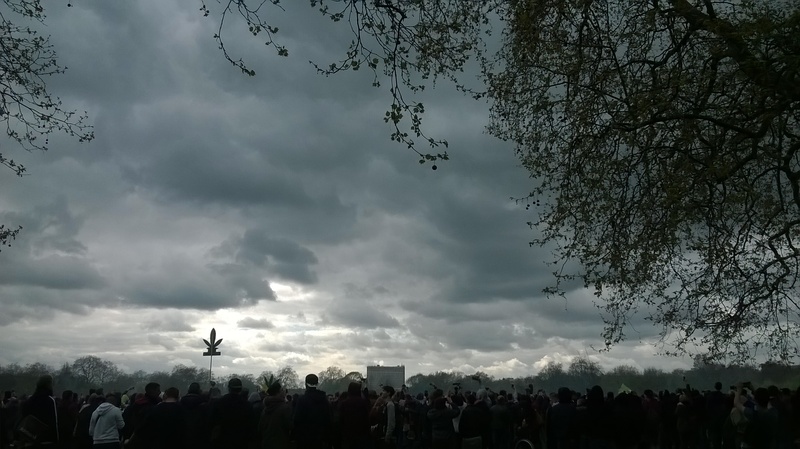 When the time reached 4.20pm there was an uproar that created a beautiful connection between all and the sky above filled with fumes as people united for real change. 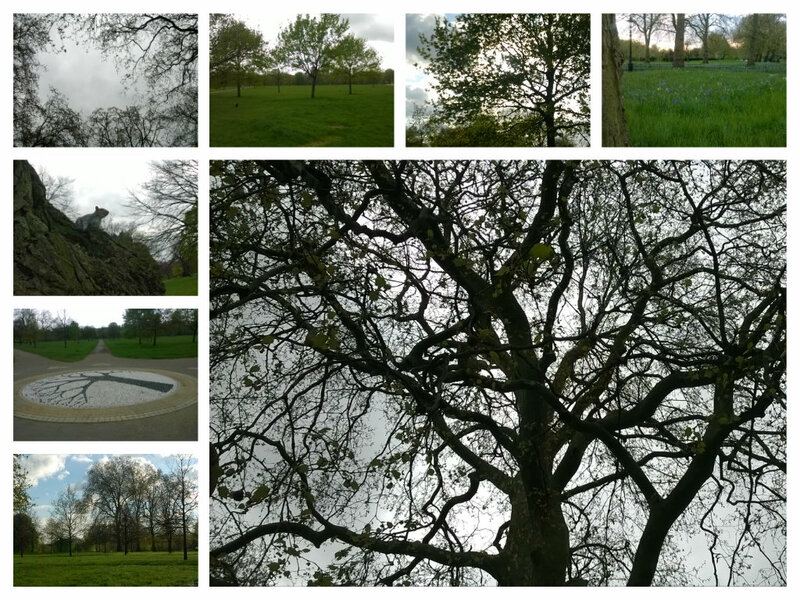 Such a peaceful and passion filled day. 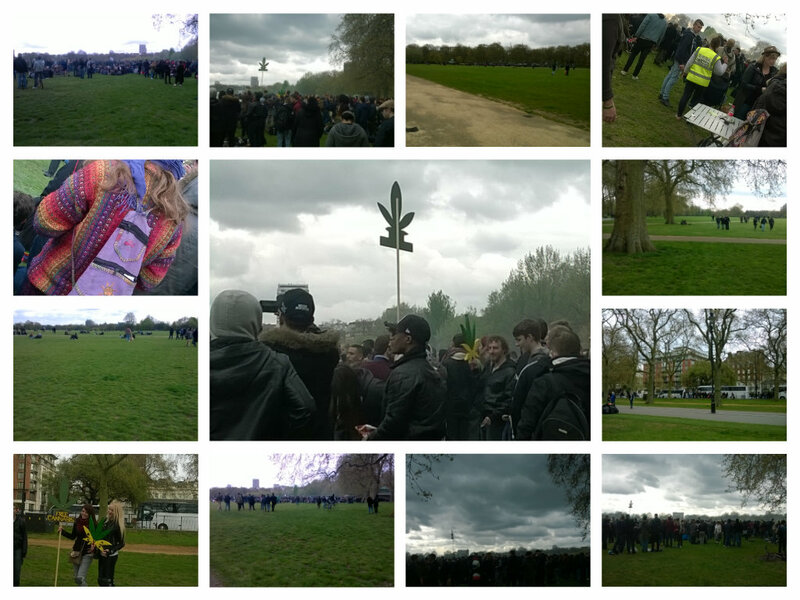 The people were gathered through the use of Cannabis well past 7.30pm, even after the event organisers had left. They were just peacefully ‘being’ in the park, chilling and enjoying the sunshine, spending some quality time with friends. All in all it was a successful day in showing that a vast number of people are standing for change on this important matter. Awareness can only be heightened through the passion of those that truly believe. On Sunday all those that attended spoke together as One. Why is 420 called 420 and what does it have to do with Cannabis? Find out in this article. Thanks for taking the time to read here, please check out all the above organisations that are behind this amazing event for further information on this weekends antics, future events and what help you can give in supporting the legalisation of Cannabis and the movement of the followers near you. 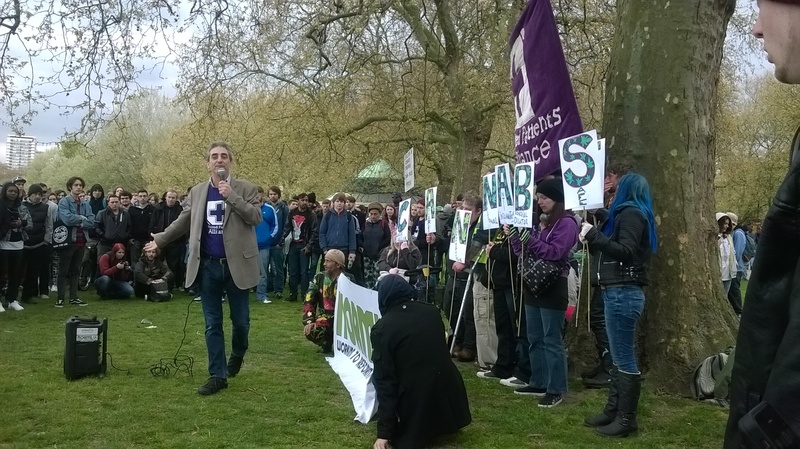 Last year we were able to see The Green Party at Hyde Park for the London 420 Cannabis Rally Picnic Protest, hopefully they will be there again showing their support in the sensibility of decriminalising cannabis this year! All who care please do come, show your support and make Cannabis readily available to SAVE THE EARTH – it is true what they say, hemp for victory! …and besides it tastes so darn good!! What an amazing way to spend a Smokey Sunday. It would be lovely to see you all there. What an amazing Woman, an incredible team of people that truly care about the future of this planet, the only place we have to live! Its not hard to see that if we drill down, take the oil, burn it, melt the ice caps, rise sea level and have no land left instead of using solar, wind and other sustainable energies that we will be well and truly fucked, for want of a better word, I mean seriously if there is a party that actually have the power to make global change for good then FOR THE FIRST TIME IN MY LIFE I WILL VOTE! We can all make small changes at home like, reducing, reusing, recycling and collectively we CAN save the planet by using renewable and being more self sustainable as well as closely minding our health and naturally self medicating. Don’t just vote the lesser of two evil just to keep the other out, think for yourself, who actually wants real change as apposed to bags of cash? 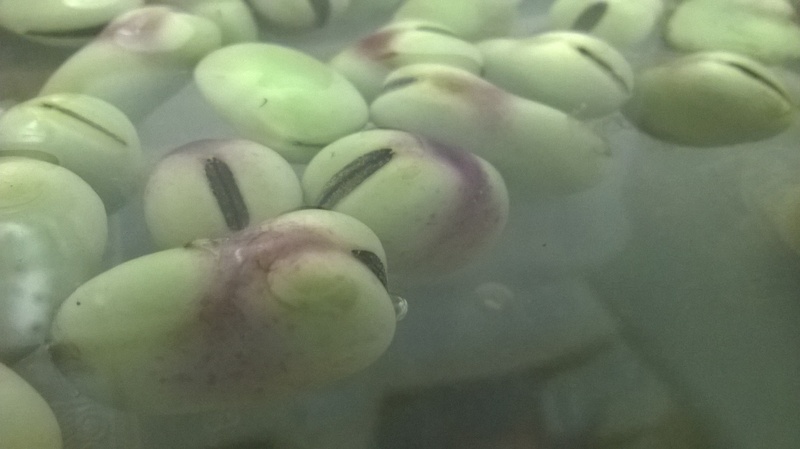 Adzuki Beans make an amazing and natural exfoliating scrub, just don’t get water in the storage tub! Hey guys, apart from last night’s rolling ramblings I am still feeling rather unwell and everything around me is slacking now and my divine bed has become my best friend. I am extending my hiatus from writing and being so strict on my posting routine as I can really only focus on the bare minimum all round. I may comment quite a bit still as I am slightly addicted to you All and feel you nourish my soul with your indescribable words and intriguing notions. I am sorry to my friends running the wonderful challenges, I cannot seem to keep up right now. Many thanks to everyone who continually supports me with well wishes, I really appreciate your loyalty and commitment. I feel your love. Now, I must get busy with the kiddies and the Sunshine.